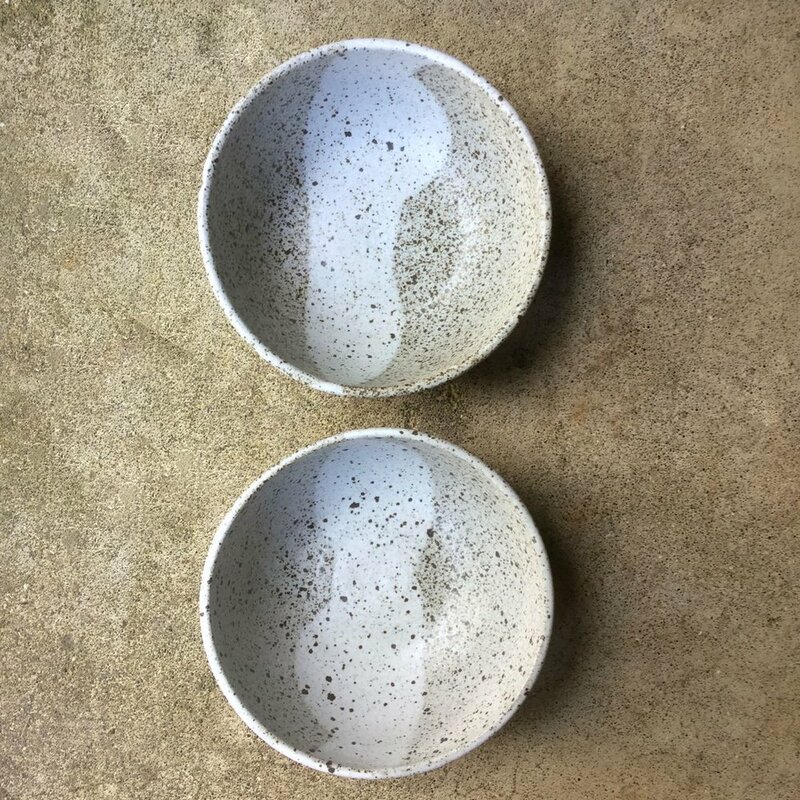 A pair of bowls for soup, noodles or stews, glazed in matte shades of grey, dark brown and foggy white. Approximately 7” wide and 3” deep. Dishwasher and microwave safe. Hand thrown in California.